Of all the structural components of a house, the roof is the most vulnerable to weather damage. Because of the exposure to wind, rain, snow, ice, high winds, and other sources of extreme weather, it’s not unlikely that homeowners need the expertise of roofing companies in Dunwoody. While some weather events happen without warning, that doesn’t mean steps can’t be taken to prevent weather damage to your roof. Here are some preventive steps for homeowners to take today. Does your property have large trees near the house? High winds, heavy rains, and ice accumulation are three examples of reasons tree limbs break and fall onto roofs. If the limbs on a tree are damaged or too close to the house, consult with a tree specialist for swift removal. Cleaning the gutters and downspout is a maintenance task that nobody looks forward to. However, failure to keep these channels clear means putting the roof structure in jeopardy. Water doesn’t move through congested gutters. Additionally, heavy gutters pull on the roof causing leaks and other issues. Roofing contractors in Dunwoody recommend checking the gutters once every couple of months to make sure debris hasn’t accumulated. Annual roof inspections by local roofing services in Dunwoody keep your home watertight. Often, small problems escalate quickly leading to complete roof failure. For example, all it takes is a few damaged shingles or missing flashing for a tiny rain shower to cause excessive damage. While homeowners have the option to spot check for problems from the ground, it’s always a good idea to get a pro on the roof for a more in-depth inspection. If you’re in the market to replace your roof, consider looking beyond the standard asphalt shingles. Yes, the cost for weather-resistant materials is higher, but many homeowners believe the benefits are worth the extra money. A popular roofing material is impact-resistant materials. 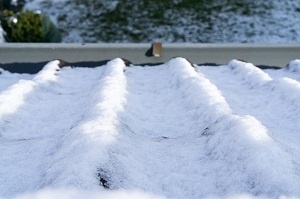 These materials protect roofs from hail damage, which is the cause of many insurance claims and out-of-pocket costs. Does your home get a lot of direct sunlight? 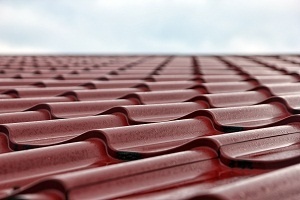 This causes roofs not only to fade, but breaks down materials faster. Also, consider heat-resistant material. It’s important to homeowners to get as many years out of their roofs as possible because roof replacement is expensive. If you’re uncertain about the best maintenance practices to protect the integrity of the existing roof, contact a roofing company in Dunwoody. Specialists have the answers to all your questions and work with you to find solutions that protect your roof from weather-related incidents. Copyright © 2019 Superior Roofing Company of Georgia. All rights reserved.